After being as patient as I could for what felt like eons (and eons, please permit me this bit of drama), I am so excited to share the latest kit I designed for the incredible Feed Your Craft shop, Comfort & Joy. It's hard to believe, but this makes the third year that we've collaborated on a holiday themed kit, but each year I love them even more. This one is even more exciting though, because it marks the first kit of my design that will include embellishments - puffy stickers and die cuts, oh my! The third grader in me is SO FLIPPING EXCITED. Actually, the 35 year who IS me is pretty flipping excited, too. 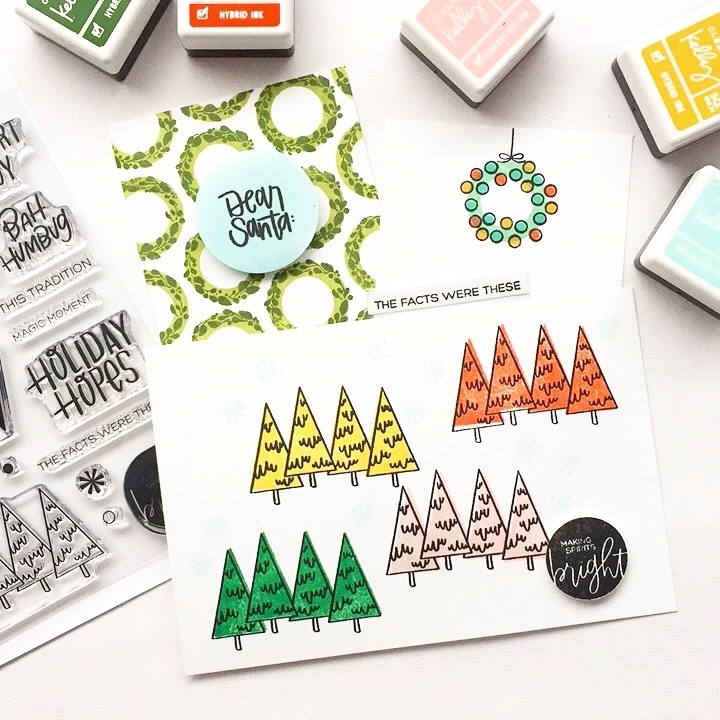 Of course, I haven't been able to resist jumping in and playing with all these fun new supplies, including the stamp set, which holds a number of fun buildable stamps so that you can decorate and layer these designs to your heart's content. I've put together a PDF filled with ideas on how you can use these stamps, and you'll get this file along with all of the digital card and paper files when you order. For my first December Daily album project using this kit, I had to begin at the start, creating my annual wish list that will live at the very front of my album. I've been nervous about this first Christmas without my mom, and a little tentative about what my album might look and feel like this year, but I have to say that sitting down and putting this little list together brought me comfort, and hope. 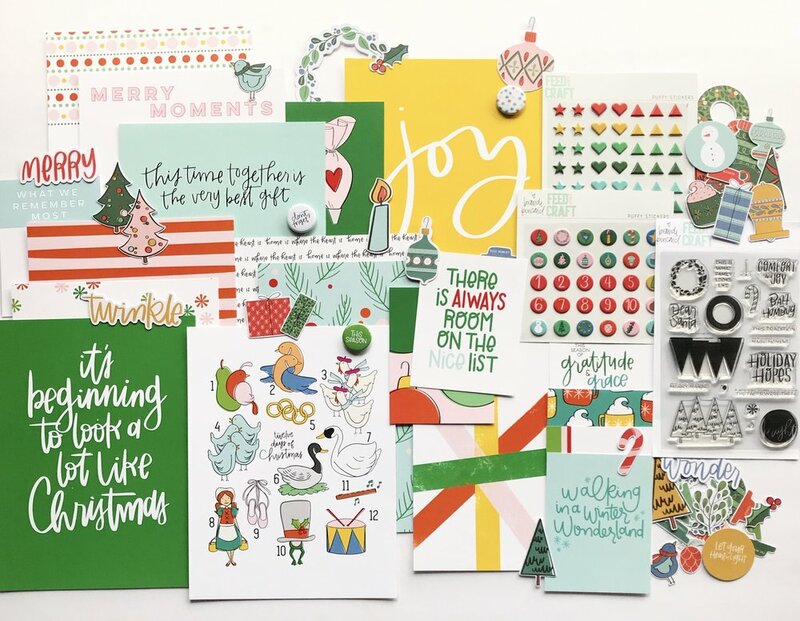 You can pick up this kit, as well as Elise's amazing Remember December kit in her shop here, and don't forget to stop by her blog for more inspiration and connections to her whole incredible Creative Team. Thank you, thank you, thank you for all of your support that makes this possible!